UFC strawweights Jocelyn Jones-Lybarger and Nina Ansaroff will battle for redemption in Phoenix as they meet at the UFC Fight Night 103 card in Arizona on Jan. 15, MMA Fighting has confirmed with multiple sources following a report by Fox Sports. 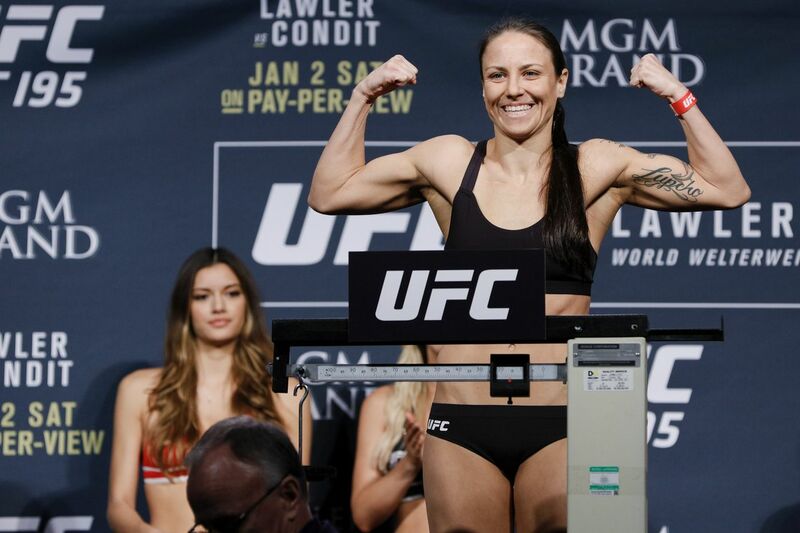 Ansaroff (6-5) is looking for her first UFC win after back-to-back decision losses to Juliana Lima and Justine Kish. The American Top Team fighter scored five straight wins before her run in the UFC. Jones-Lybarger (6-3) signed with the UFC after winning the RFA strawweight championship in 2015, but has yet to win her first bout inside the Octagon following losses to Tecia Torres and Randa Markos. UFC Fight Night 103 takes place at the Talking Stick Arena, and features Yair Rodriguez against former UFC champion B.J. Penn in the main event.